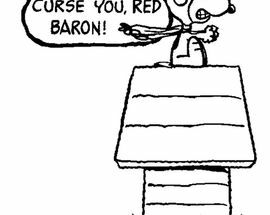 Better known as 'The Red Baron,' Manfred von Richthofen (1892 – 1918) is an enduring symbol of daredevil adventure and the cavalier spirit. 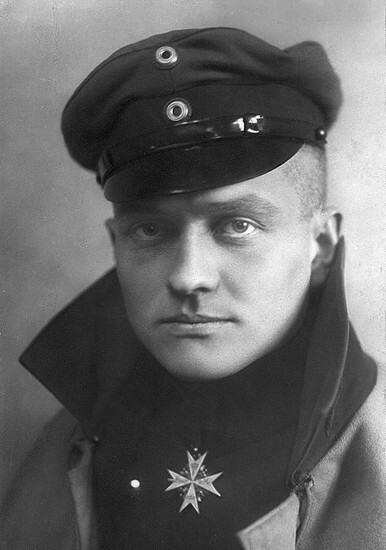 To this day regarded as the ‘ace of all aces,’ Richthofen was the top scoring fighter pilot of WWI, and is considered a national hero in his native Germany. 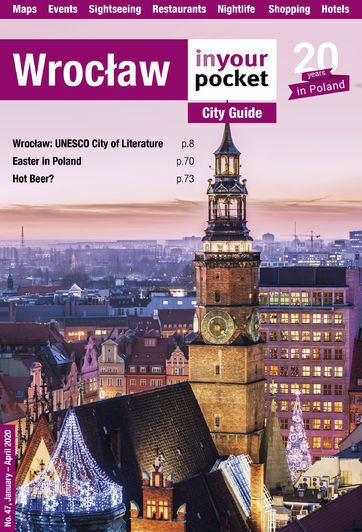 Born in Breslau (now Wrocław), his well-to-do family moved to Schweidnitz (Świdnica) in 1901 where the young Richthofen enjoyed a privileged upbringing. 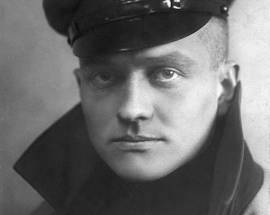 Following Prussian tradition, as the eldest son Richthofen was pegged to pursue a military career and enrolled in a cadet academy at age 11. Despite failing to excel academically, young Richthofen was by all accounts a gifted athlete and gymnast, and on graduating he joined the mounted cavalry. In the months leading up to ‘The Great War,’ Richthofen spent his off-days riding horses, twice breaking his collarbone during steeplechases, while his family coped with the scandal created when Emma von Richthofen, a cousin of Manfred’s, left her husband and children to elope with a hitherto unknown writer named DH Lawrence. Richthofen served as a cavalry scout at the start of WWI, spending much of his time idling in dugouts, frustrated as the war passed him by. Inspired by the sight of the aircraft that occasionally buzzed overhead he applied to join the Imperial Air Service, and after being accepted applied himself with zeal. Quickly making a name for himself by hunting down British observation planes and their armed escorts, after his 16th confirmed kill he was awarded Germany’s highest military honour - the Pour le Merite - and was assigned command of Jasta 11 squadron. While most planes were camouflaged, Richthofen insisted on his squadron's planes being painted blood red, adding to the legend building around Germany’s new war hero. A brilliant tactician, his squadron became known as one of the elite units of the war, with an unparalleled hit rate. His 50th kill prompted a personal telegram from the Kaiser, as well as an invitation for a lunch reception, during which he was presented with a bronze and marble bust of the Kaiser’s likeness. A key figure in the propaganda campaign, he was urged to retire several times for fear that his death would be a major blow to German morale. Although he was persuaded to visit striking factories in a bid to lift workers spirits he refused to abandon his military duties, and finally met his death on April 21, 1918, struck by a single bullet fired while he was flying over enemy lines near the Somme River. To this day controversy reigns over who fired the fatal bullet, with Canadian Captain Roy Brown dubiously receiving credit. A 1998 study was able to confirm 73 of Richthofen’s 80 official air combat victories, however noted that unconfirmed victories could put Richthofen’s tally at over 100. 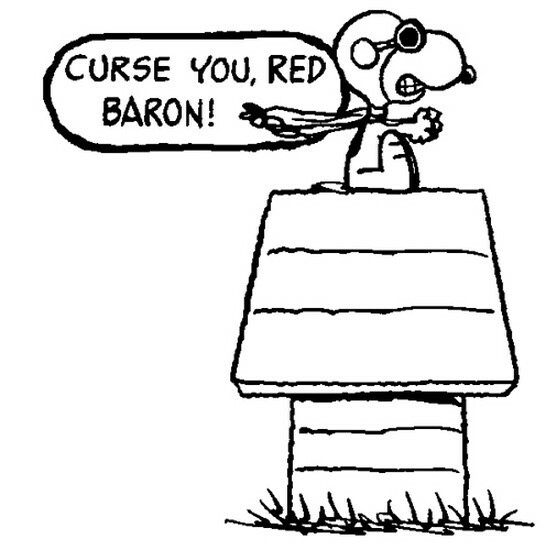 Recent evidence also suggests that brain damage sustained in an earlier dogfight contributed to his death, with eyewitnesses noting that the Red Baron had strayed from his own rules of aerial engagement, possibly a sign of combat fatigue. Originally buried in Amiens and then Fricourt, France, his body was transferred to Berlin in 1925, where it rested until 1975. Lying just five feet from the Berlin Wall, East German officials chose to move his remains to the family plot in Wiesbaden, where he lies to this day.